So, another update in my ongoing series of Nightgamer customization. 1. 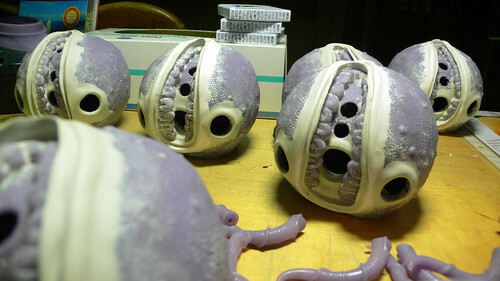 As you can see above I decided that two eyes are not enough and I drilled two extra holes into the mouth area. 2. 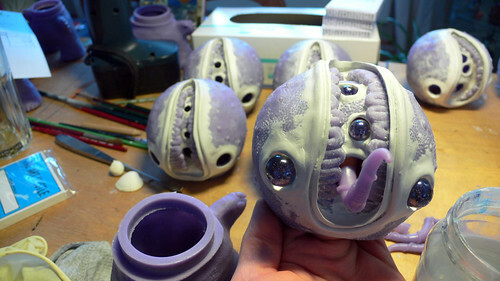 Below is a shot with the eye sockets sculpted, the glass marbles in place and the tongue coming out of the mouth hole. 3. 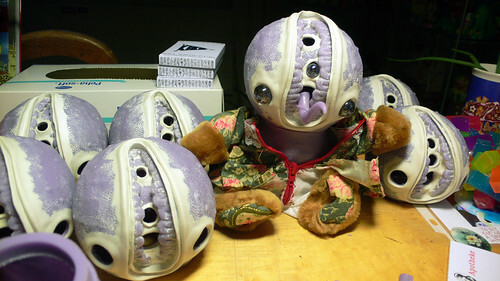 I mentioned this already earlier on that I gutted eight teddy bears and turned them into suits for the Nightgamers. The suits have blood red zippers. Each suit is different. Here is a close-up. 4. And to give you an impression of where all of this is heading here is a shot of one of the Nightgamers testing a teddy bear suit. This particular one has pants and a skirt that I carefully ignored. 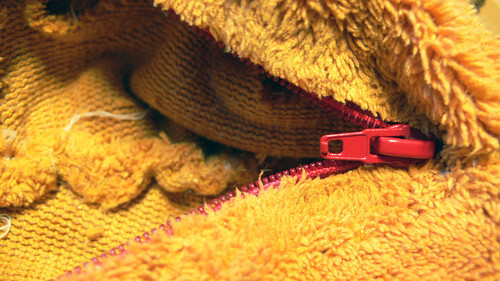 The zipper features intentionally bad sewing. Makes it more scary.